Pipeline Zine gives an enthusiastic review to Center of the Surf! 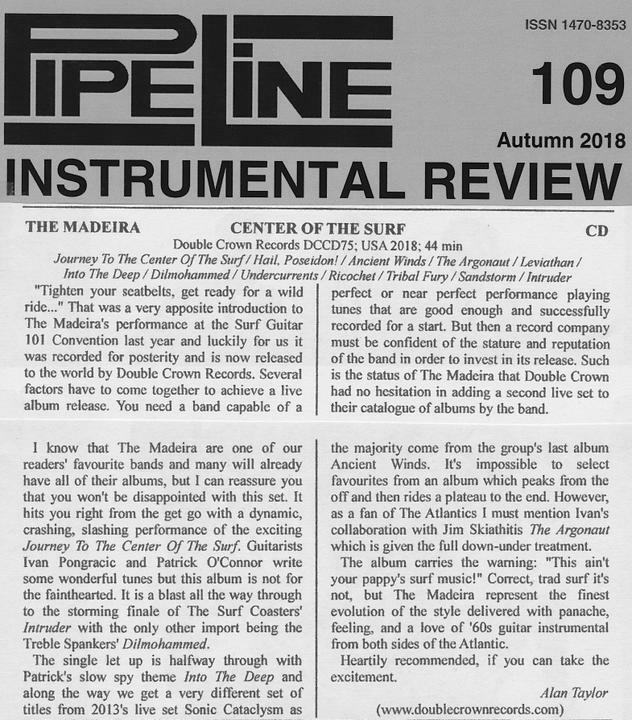 We just received a fantastic review of our "Center of the Surf" CD by the long-running UK surf/instro zine Pipeline Instrumental Review!! Big thanks to Alan Taylor!! (Check out the whole thing below.) 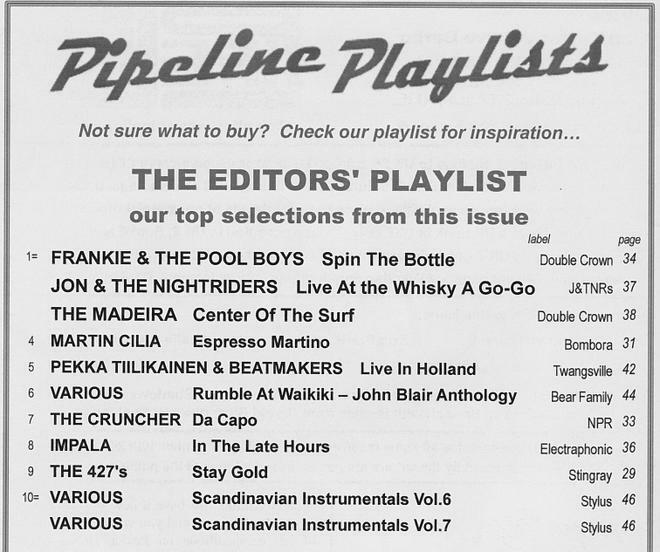 The Pipeline Editors' Playlist also has "Center of the Surf" tied for 1st place with the reissue of Jon and the Nightriders' ultra-classic 1981 live album "Live At Whisky a Go Go" and Frankie & The Pool Boys' sure-to-soon-be ultra-classic of surf music, "Spin The Bottle"! So happy to be able to share this honor with our good friends Ferenc Dobronyi and John Blair (whose new epic anthology double-CD is also on the list, at number 6 - and who, of course, also played on "Center of the Surf"! ), as well as with Double Crown Records, who released ours and Frankie's CDs!